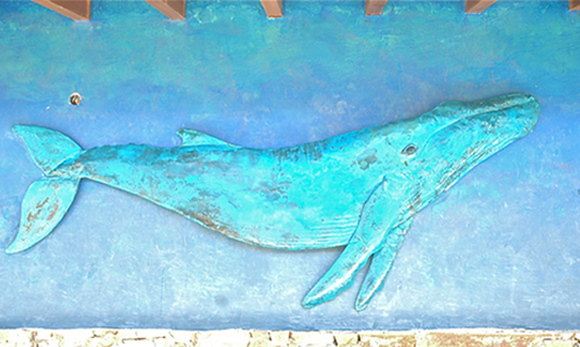 Whales have become a new theme for Aragorn’s sculpture. 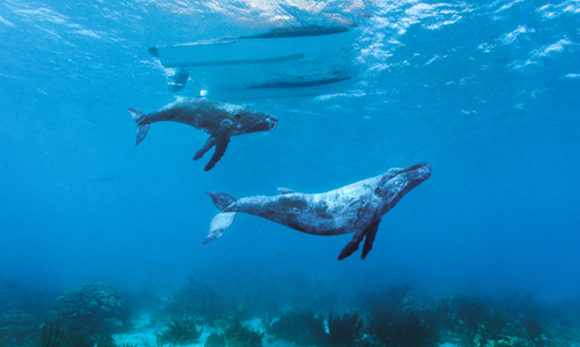 Their seasonal appearance in the Atlantic Ocean below his house on the north side of Tortola is a true inspiration. Translating their awesome size to copper has long been a challenge. 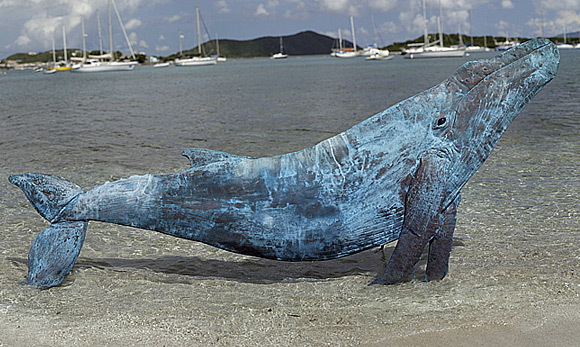 However, in 2010 the developer David Johnson commissioned Aragorn to sculpt a pod of 4 copper whales for the clubhouse of the BVI’s newest high-end residential development, Oil Nut Bay. The copper worked well for forming the large semi relief pieces, over a pipe armature. 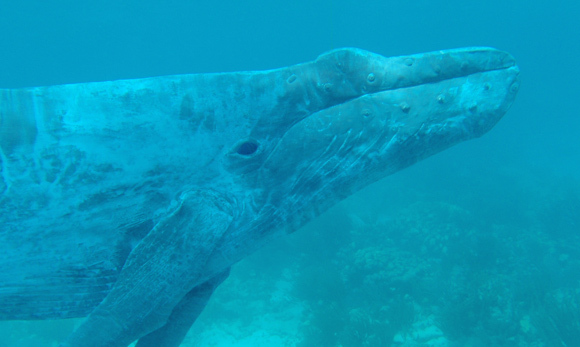 Aragorn then collaborated with Green VI Glass artist Jake Barron to make the whale eyes. 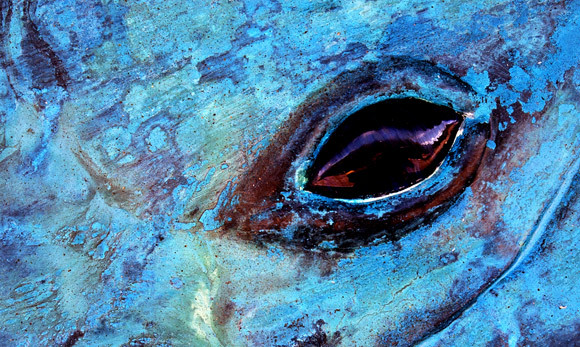 The glass makes a great companion to the copper, and the deep mysterious gleam of the glass eyes gives the whales a very life like allure.